“Wow, look at that!” I exclaim as we pull into the left lane to pass a beat-up white 1976 Ford Granada with a padded vinyl roof. “Look at what?” my wife asks. 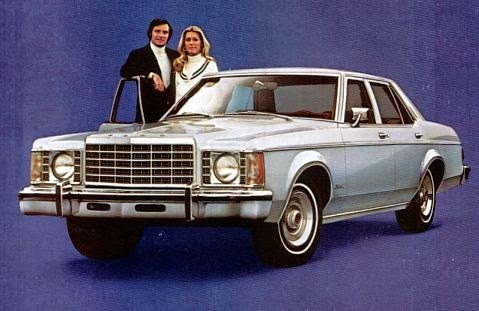 "A Ford Granada. First car we ever had with an FM radio. It had a 302 V-8 and a green interior. We sold it back to the dealer a couple of days before we moved to New York." "Why would I make that up? You’re getting senile. You scare me." “Remember when we went to Granada?" "On that trip to Spain the summer before we moved to New York." "We didn’t go to Granada. We went to Malaga and Marbella but we most definitely didn't go to Granada." "Yes we did. One day we decided we’d spent too much time on the beach so we drove to Granada to see the Alhambra." "You’re out of your mind." "We toured the castle. It was built by the Moors. Then we walked the grounds. They were beautiful. We bought a copy of The Alhambra in the gift shop." "Washington Irving. It’s in the bookcase in the den. I’ll show you when we get home." "No you won’t because you're delusional." "You’re delusional. If we’d had a car like that, which we didn't, I’d remember it. You're scaring me. How could you forget the Alhambra? It was magnificent." "If we’d been to Granada, which we haven’t, I’d remember it." When we arrive home she pulls a book from the shelf and hands it to me triumphantly. “The Alhambra by Washington Irving. Printed in Spain in 1978. Why would we have this if we hadn’t bought it in Granada?" I go to a closet and emerge 10 minutes later with an album containing a photo of her wearing a blue down jacket and stocking cap, standing next to a white Ford Granada with a padded roof. "Who did you say you are again?" she asks. We laugh. But not too hard. 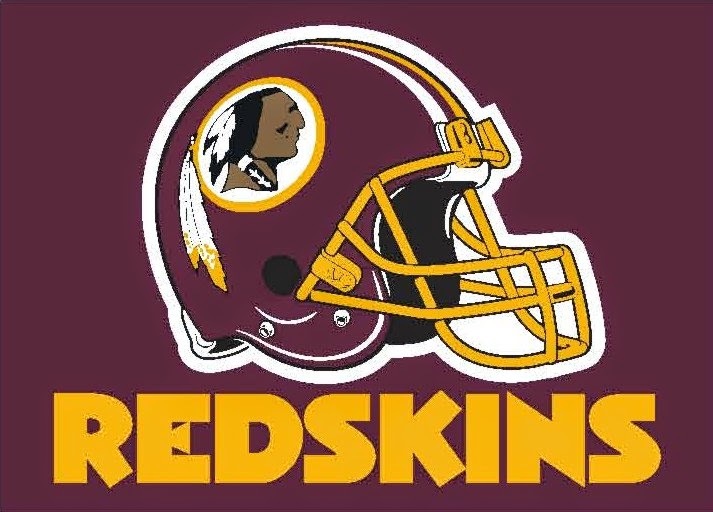 The U.S. Patent Office yesterday ruled that the name of Washington D.C.’s NFL franchise, the Redskins, is offensive to native Americans. Here are more team names I find offensive along with suggestions for new names that won't offend anyone's sensibilities. Milwaukee is known for beer but many folks – Mormons and Muslims for instance – are offended by alcohol. The team should be given a new name celebrating those who make drinks any American can consume without compromising his or her beliefs such as the Milwaukee Smoothie Makers or Milwaukee Water Bottlers. Whites have oppressed minorities since the day the Mayflower landed on Plymouth Rock and the name of this team is a painful reminder of that. A more inclusive name would be the Chicago Diversity Sox. Everyone who saw Tom Hanks in Captain Phillips will agree there’s nothing admirable about team names that celebrate criminals who terrorize the high seas. The Pirates could become the Pittsburgh Law-Abiding Citizens Who Support Freedom of Maritime Shipping Lanes. The Buccaneers could be renamed the Tampa Bay Americans for the Right to Ship Cargo Safely and Without Fear. This name excludes not only women but people who don’t speak Spanish. I suggest renaming it the San Diego Parents & Those Who Either Made A Conscious Decision Not To Become Parents Or Who, Through No Fault Of Their Own, Are Unable to Conceive or Adopt. Every American should be outraged by this name because the United States was founded specifically so we wouldn’t have to be ruled by royals. The Royals should be renamed the Kansas City Democracy or, if that is too close to “Democrat” to suit Republicans, the Kansas City Equalitarians. Roman Catholics believe in Saints but members of other religions, agnostics and atheists don’t. (To wit, I buried a statue of St. Joseph, the patron saint of real estate, upside-down in my front yard three months ago on the recommendation of Catholic friends who said doing that would help me sell my house but Joe ain’t done squat so far and I've even lowered the price.) The team ought to be renamed the New Orleans Members of All Religions As Well As People of Secular Persuasion Players. The man who named this team (it had to be a “he”) is a sexist because he specifically excluded even the possibility a non-male could ever play for the franchise. Why not include all potential players and call the team the Dallas Cowboys/Cowgirls/Cowtransgenders? Why would anyone whose people didn’t come over from the Emerald Isle or Scotland support a team that honors people who inhabit less than one-tenth of one percent of the planet? Why not call the team the Boston Hispanics? The Boston Africans? The Boston Arabs? There are more of all three of these groups than there are people of Celtic descent. Here's a better idea: Don't name the team after any ethnic group. Name it after all of us and call it the Boston Citizens of the World. Voila, an all-inclusive name we can all feel good about. There wasn’t much for men, or, for that matter, women or children, to do in Auxvasse, Mo. in the 1950s and early 1960s but even if there had been, my father wouldn’t have done them. Unlike my friends’ fathers, he didn’t hunt. He didn’t fish. He didn’t hang out at the town tavern. He never attended a high school basketball game, didn’t even listen to the Cardinals on the radio. Bud Dryden worked. Dryden’s Grocery and Drygoods, located in a three-story redbrick building at the corner of Main and Harrison Streets, was his life. He opened it every morning at 7 on the dot, and arrived home around 8 that evening for supper. On Saturdays, when farm families came to town to do their weekly shopping, he kept the store open until 10 p.m. or so. Dad was in motion from the moment he turned the key in the lock in the a.m. to the minute he reluctantly turned off the lights in the p.m. If there were no customers to wait on, he occupied himself restocking shelves, arranging the meat case, washing windows, carrying heavy cartons from the back room down to the basement (eschewing the old-fashioned rope-operated elevator that would have saved him a lot of work) and making deliveries to shut-ins and the elderly in his red Chrysler sedan. If, on a Sunday, anyone needed a quart of milk or a pound of bacon, everyone in town knew they could pick up the phone and Bud would open the store for them. On winter Sundays he had to go to the store several times anyway to stoke the ancient coal furnace and, as long as he was there, usually found other tasks that needed his immediate attention. It drove his family – my mother especially – crazy but we all knew Bud Dryden was a perfectionist about his store and that we’d better not make him choose between it and us because we would come out on the short end of the stick. Dad expected his three children to be as obsessive about the store as he was. From age 8 on, we were required to report for work immediately after school, and to stay until closing. Saturdays, when other children were doing whatever it is that children do on Saturdays, we were at the store all day restocking shelves, filling delivery orders, waiting on customers, fitting shoes, slicing lunch meat, measuring bolts of fabric, marking prices, polishing the glass on the meat and dairy cases, accepting soda bottle returns in the back room, building window displays or anything else our father decided needed doing that very minute. That is the most important lesson I learned from my father who died in 1966 when I was 14, and it’s the credo I have abided by ever since. 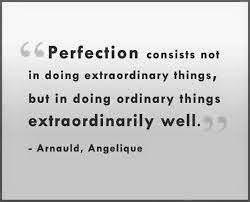 Ask my former employees and most, I would have to guess, will say I was a perfectionist taskmaster who drove them crazy. Some will grudgingly admit I taught them a thing or two along the way. The few who appreciated and/or understood what I was trying to accomplish have, by and large, done well for themselves. Unlike my father, I have been lucky to live long enough to recognize my priorities were misplaced, and hope to spend the rest of my life making it up to them while trying to find something I enjoy doing other than work. So far that has been a challenge. I have never learned to relax and probably never will. I need to be busy doing something productive, even if it's nothing more than writing this blog post. Thursday afternoon I finished painting the trim of our new house. It’s a beautiful house, the nicest we’ve ever owned but, for some reason, the exterior trim was painted the same shade of cappuccino-brown as the walls. The day after we closed on May 30, I started painting the trim creamy white, a task I figured would require three days at most. It took 12. Not more than two hours into the job, I realized I should have hired a professional painting contractor. It was hot under the Florida sun. I’m 62 for Chrissakes, I could have a heatstroke. Or a stroke stroke. I shouldn't climb ladders, I could break a hip or worse. But once I started, I couldn’t stop because of the lesson my father taught me on that sidewalk 50 years ago. I could, I suppose, have applied two coats to the fascia and overhang instead of three. I could have removed the detailed ornamental trim above the front porch – 360 six-inch metal squares – and spray painted it instead of painting it with a brush. It would have been faster to spray the 16 columns and wrought iron railings, too. I could have purchased new white gutters instead of removing the existing ones, spending a day cleaning the moss and algae, then sanding them down in order to paint them the exact shade as the rest of the trim. Nobody would have ever known the difference. But me. I have no way of knowing if my father would approve of much of what I’ve done with my life, but I do know he would approve of the job I did painting that trim. It’s perfect, a fitting and satisfying Father’s Day gift to myself, compliments of my old man.